Essential oils were mankind's first medicine. From Egyptian hieroglyphics and Chinese manuscripts, we know that priest and physicians have used essential oils for thousands of years. Additionally, there are 188 references to essential oils in the Bible. Essential oils can be used in a variety of ways including direct application on the skin, inhalation, in a relaxing bath, diffused into the air, for massage therapy, as perfume or cologne, in your favorite recipes, and more. Consider the benefit of each of these oils as a natural option for healing and wellness for everyone in your family (pets too!). Interested in ordering oils from Young Living? PLEASE get in touch with me first so that I can help you sort through the different oils and options. I'd love to help you get access to the wholesale pricing that I enjoy. Each of these oils are also available separately for purchase. Download my Essential Oils FAQ sheet HERE. 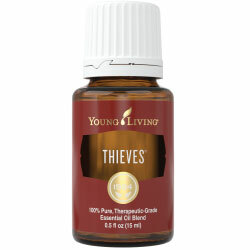 THIEVES*: This popular oil blend is known for its cleansing abilities and is highly effective in supporting the immune system and good health. It was created based on research about four thieves in France who covered themselves with cloves, rosemary, and other aromatics while robbing plague victims. This is a must-have oil for protection during cold and flu season! This is my favorite oil! I wear it everyday for keeping my immune system strong. Apply 1-2 drops to bottoms of feet, wrists and/or edge of ears at the onset of a cold. Apply one drop on thumb and press to the roof of mouth to relieve a headache. Apply one drop to two ounces of water and gargle to relieve a sore throat. Apply directly to skin ailments and blemishes. 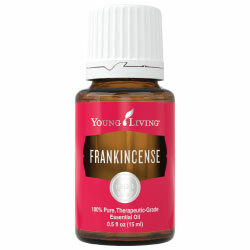 FRANKINCENSE*: This ancient Biblical oil has a sweet, warm, balsamic aroma that is stimulating and elevating to the mind. Useful for visualizing, improving one's spiritual connection, and centering, it has comforting properties that help focus the mind and overcome stress and despair. Frankincense is considered the holy anointing oil in the Middle East, where it has been used in religious ceremonies for thousands of years. It is also helpful for bouts of depression and useful in relieving pain and inflammation in joints. Apply 1-2 drops between the eyebrows, back of head, and on tops of ears for an uplifting feeling. Apply one drop on the crown of the head and inhale from your hands many times to ease symptoms of depression. Apply one drop on sore joints for temporary relief of pain from inflammation. Apply one drop on palms and cup over tired eyes. Apply one drop in your favorite facial lotion for healthy skin. Brush your teeth with one drop to strengthen your teeth and gums. PEPPERMINT*: Peppermint has a strong, clean, fresh, minty aroma. One of the oldest and most highly regarded herbs for soothing digestion; it may also restore digestive efficiency. Scientists have also researched peppermint's role in improving taste and smell when inhaled. Peppermint has been known to improve concentration and mental sharpness. Studies have also been done on peppermint's ability to directly affect the brain's satiety center, which triggers a sensation of fullness after meals. This powerful essential oil is often diluted before topical application. Peppermint may also be used to enhance the flavor of food and water. Keep your bottle of oil on your nightstand and inhale deeply upon waking for an energetic lift. Place a drop on hands and rub together. Then inhale deeply through mouth or nose for temporary relief of head congestion. Place a drop across the forehead to ease a headache (Peppermint oil is known as a “hot” oil so mix it with a carrier oil if needed). Place a drop on a cold sore for numbing relief. Rub a few drops of peppermint oil on your hands and spread over your pillow to ease overnight congestion. Place a drop in 4 oz. of water along with a drop of Grapefruit and Lemon as an appetite suppressant. When using as a supplement, dilute one drop in 4 fl. oz. of liquid. 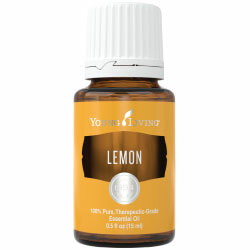 LEMON*: Lemon essential oil is cold pressed from the rind of Citrus limon, and promotes clarity of thought and purpose and has a purifying citrus scent that is invigorating, enhancing, and warming and is known as one of the most fragrant essential oils. Lemon contains d-limonene, an antioxidant that has been linked to healthy immune system function. Studies show that inhaling lemon can actually counter occasional feelings of depression. Lemon is also an important ingredient in natural cosmetics that may be useful for cleansing the skin and reducing the appearance of wrinkles. It is delightfully refreshing in water and may also be used to enhance the flavor of foods. Place a drop of lemon essential oil on blemishes to help balance oil glands and minimize oil production. Add lemon essential oil to your morning tea or shake for a refreshing pick-me-up. 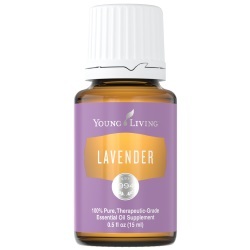 LAVENDER*: Lavender has a fresh, sweet, floral, herbaceous aroma that is soothing and refreshing. Because it is the most versatile of all essential oils, no home should be without it. Lavender is an adaptogen, and therefore can assist the body when adapting to stress or imbalances. It is a great aid for relaxing and winding down before bedtime, yet has balancing properties that can also boost stamina and energy. Therapeutic-grade lavender is highly regarded for skin and beauty. It may be used to soothe and cleanse common cuts, bruises, and skin irritations. Lavender may also be used to enhance the flavor of foods. Soothe minor burns by applying 2–3 drops of lavender oil to the affected area. Rub lavender essential oil on dry or chapped skin to moisturize the affected area. Add a few drops of lavender essential oil to a cotton ball and place it in closets and drawers to scent linens and repel moths and insects. You may be able to minimize the appearance of scar tissue by massaging lavender essential oil on or around affected areas. Place a few drops of lavender essential oil on a wet cloth or dryer sheet to deodorize and freshen your laundry. Diffuse lavender essential oil to minimize seasonal discomforts. Rub a few drops of lavender essential oil onto your hand and spread over your child’s pillow to help him/her sleep. Premium Starter Kit with Home Diffuser starts at $165. Note: one or more of the following essential oils may be substituted in the event of sourcing constraints or supply considerations: AromaEase™, Citrus Fresh™ Vitality™, Lemongrass Vitality™, Orange Vitality™ and Tea Tree. * This oil is available to order individually as well as part of the Premium Deluxe Starter Kit pictured above. If you would like to have your own starter collection of 10+ oils, a room diffuser and more, the Deluxe Kit is definitely a worthwhile option. Kits start at $160. Contact me at sarawolfsen@gmail.com to learn more.